48 oz. capacities. 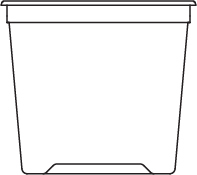 Currently available are over 11 sizes in Clear Polypropylene and 4 sizes in White or Natural High Density Polyethylene. ES 41008 - 8 oz. ES 41009 - 9 oz. LS 41009 - 9 oz. ES 41011 - 11 oz. ES 41012 - 12 oz. ES 41014 - 14 oz. ES 41015 - 15 oz. ES 41016 - 16 oz. ES 41017 - 17 oz. LS 41018 - 18 oz. 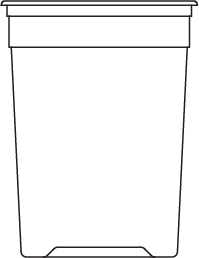 ES 41024 - 24 oz. ET 41032 - 32 oz. ETI 41036 - 36 oz. ES 50512 - 12 oz. 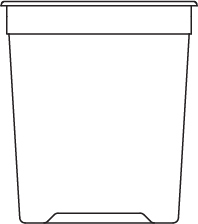 ES 50526 - 24 oz. ES 50534 - 32 oz. 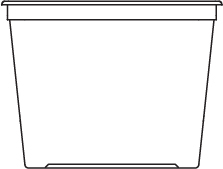 ETI 50548 - 48 oz. ES 40109 - 9 oz. LS 41007 - 7 oz. 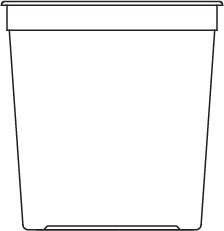 DELI Line containers are available with four types of lids; The Flat Lid (2 styles; Polyethylene or Polypropylene), the Recessed Lid, and the Recessed Tamper Evident Lid. The Recessed Lid models reduce the available capacity by approximately 1 to 1-1/2 fluid ounces. Our popular “Tamper Evident” lid model, for use with our DELI Line of Containers, features an innovative tear-away strip that provides clearly visible evidence of product tampering, while remaining user-friendly for the consumer.